September 23, 2017 — You probably know that Salem, Massachusetts, is a witchy place. But did you know that it’s also a waxy one? 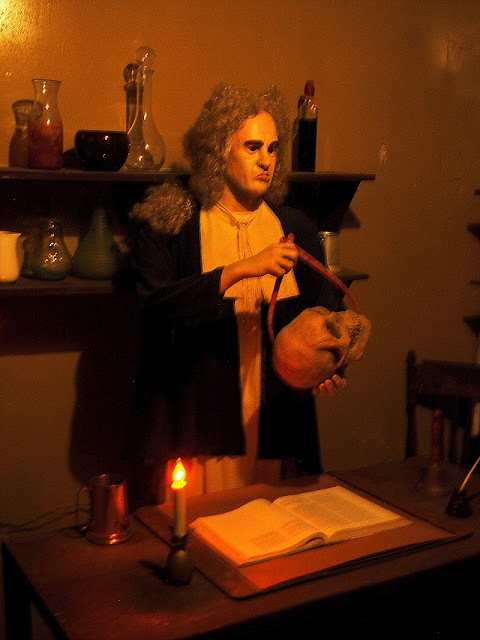 Salem tells its history through wax museums. Well, wax-style museums. These days, the figures can be made from all sorts of polymer resins or they can just be dressed up mannequins pulled from the dumpsters of an out-of-business GAP. But we as a species don’t have a name for that kind of museum yet, and the effect of these museums are still those classic, dimly lit wax museums of yore. And some of these Salem museums are as ancient as yore. I wrote about my experiences at each of these places in full in A Season with the Witch, but I didn’t have room in the book for all the photos that I took in these places. So I’m using that as an excuse to write about ’em again. 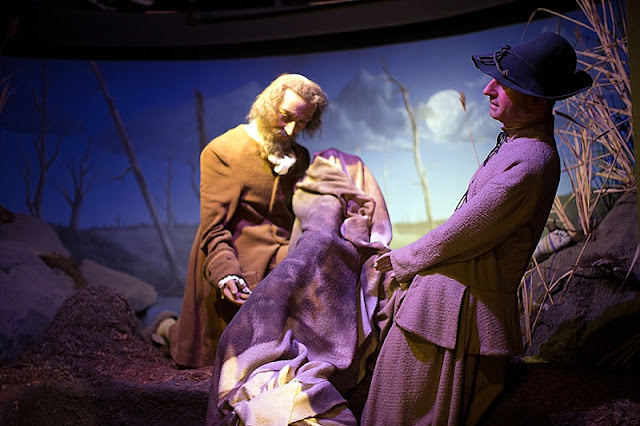 A few of these museums are controversial in Salem because there are those who believe them to be kitschy at best or disrespectful to Salem’s history, at worst. Some just find fault in the old, dusty, amateurishness of some of the displays. I find them, well, kitschy and disrespectful and amateurish in all the right ways. Let’s start with the Salem Wax Museum. 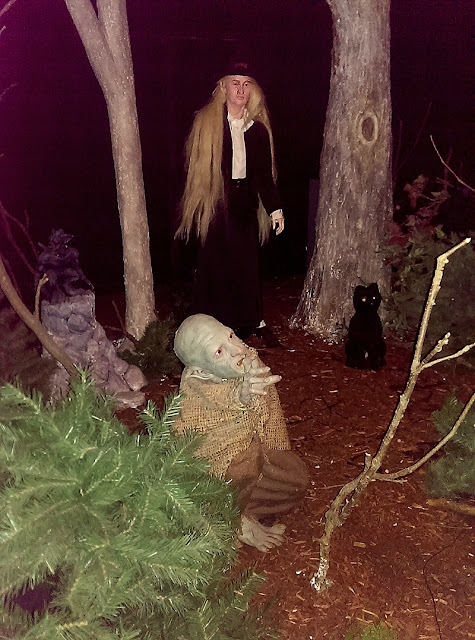 This museum is located in the infamous Haunted Neighborhood—a short stretch of street adjacent to the Old Burying Point—which in October is filled with fog and the smell of funnel cakes and the screams of people running out of haunted houses and barkers telling the times of the next Witch Circle. 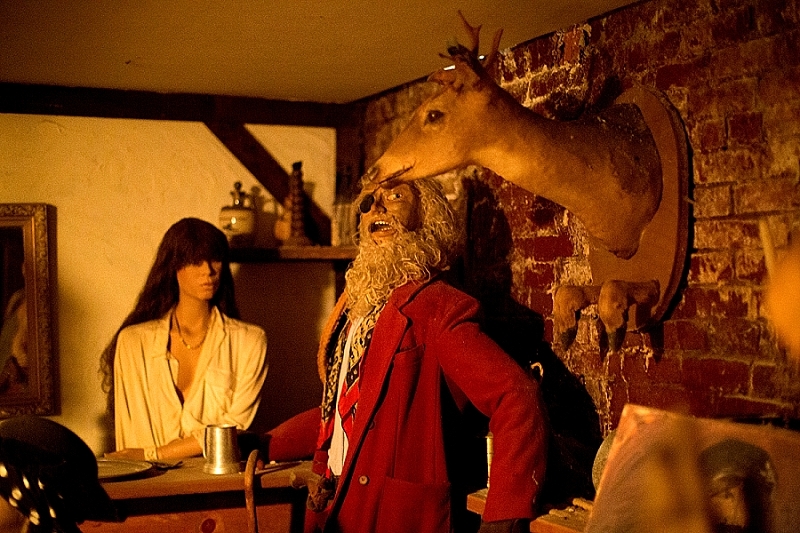 This is the only museum on the list that embraces with sasquatch arms the wax museum epithet by incorporating the word “wax” into its name and by lauding its “50 London-made wax figures.” Inside, you wander around the edges of a large, open space, looking at those wax figures posed in simple dioramas of Salem history throughout the centuries, including, of course, the Salem Witch Trials. 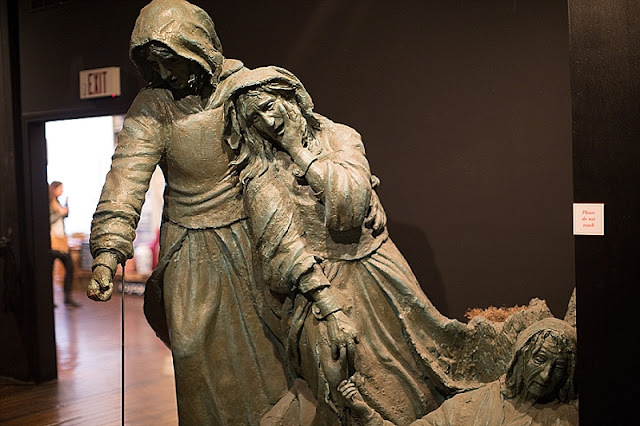 The highlight of the museum is a 14-foot-tall plaster statue of three of the accused witches, painted to look like metal. 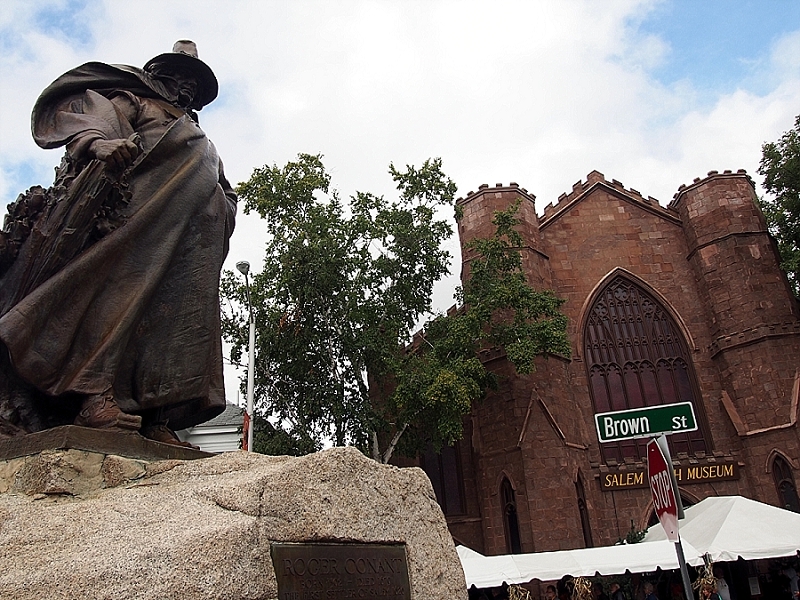 It was made by a sculptor in the 1980s who tried to get the town to let him turn the prototype into a permanent bronze memorial for the city. The city deferred. Next on the list is the Witch History Museum. This museum is on that main pedestrian artery, the Essex Street Pedestrian Mall. 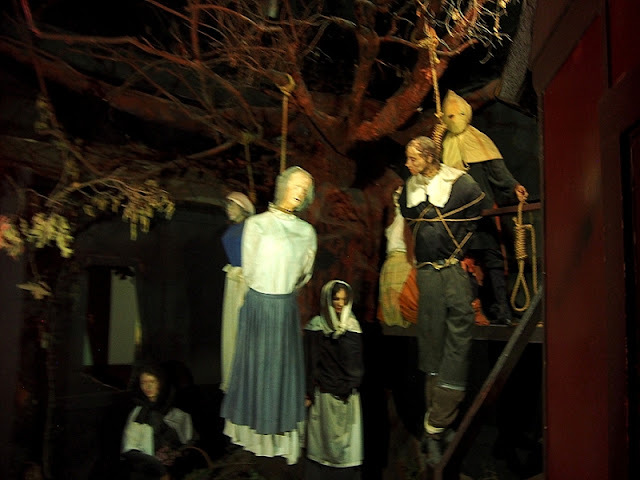 In this attraction, you start out with a small introduction on stage by a staff member dressed in colonial garb, and then move down into the basement, where a spooky soundtrack and a series of tour guides take you from diorama to diorama, all of which is focused on telling you the Salem Witch Trials story. Or at least a version of it. This museum really just goes directly for the spook factor over historical accuracy. It showcases monsters and ghosts that colonial settlers possibly feared in addition to witches, as well as some exaggerated morbid bits around the circumstances of the Witch Trials. Like Cotton Mather taking the skull of one of the victims so that he could examine it for demonic properties. Or one of the accused corpse-snatching the body of Salem sheriff George Corwin in a desperate bid to get back the land that had been confiscated from him. Neither happened, but they make great, macabre dioramas. The whole thing even ends with a ghost story. The one about Giles Corey, the man who was pressed to death for not confessing his secret Satanic life. His ghost is supposed to appear before tragic events in Salem. Moving on, we arrive at the signature attraction of Salem: The Salem Witch History Museum. 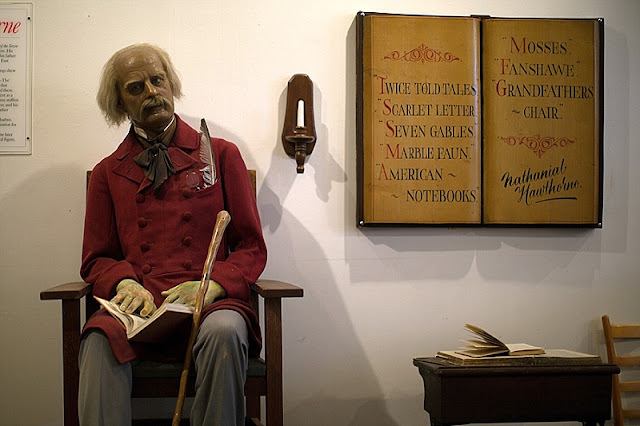 Located in an old, red, castle-like church building adjacent to a dramatic statue of the town’s founder on the edge of the Salem Common, this museum has been around since 1971 in a building that dates back to 1845. Inside, you walk into a dark circle, take a seat, and then listen to spooky narration tell the story of the Salem Witch Trials. As the horror host narrates, dioramas about 10 feet above you and surrounding the room are spotlighted sequentially. The highlight is without a doubt the giant, horned red Lucifer, the main enemy in this colonial monster mash. Only photo you get here. No photography allowed inside. After that presentation, you’re ushered into a much less atmospheric room, past one of the original beams of Salem’s long gone original jail, and into a guided story about the way the term witch has changed over the years. 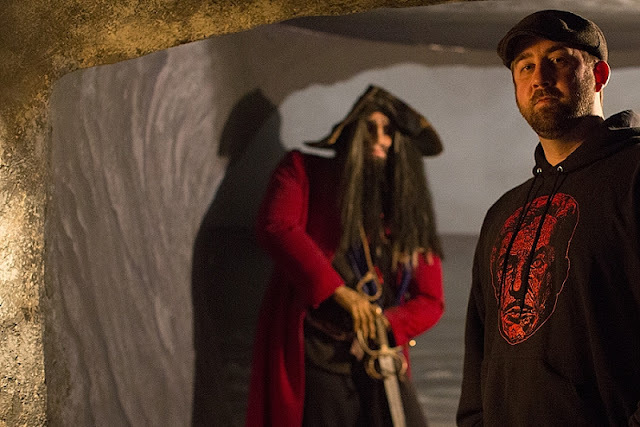 At our next museum, we leave all witches behind—although not the gallows—for good old-fashioned, black-hearted pirates. The New England Pirate Museum on Derby Street welcomes visitors during the season with men dressed like pirates cajoling you to enter the attraction or standing good-naturedly with you for a photo. Now. Why pirates in Salem? Well, Salem has a long, auspicious maritime history. In fact, it’s completely interwoven into its story. If it weren’t for those salty merchants, the Salem Witch Trials would probably never have happened. And all those colonial-era mansions all over the downtown area? Built by wealthy sea captains. And where there are ships, there are pirates. I kind of really liked this museum. 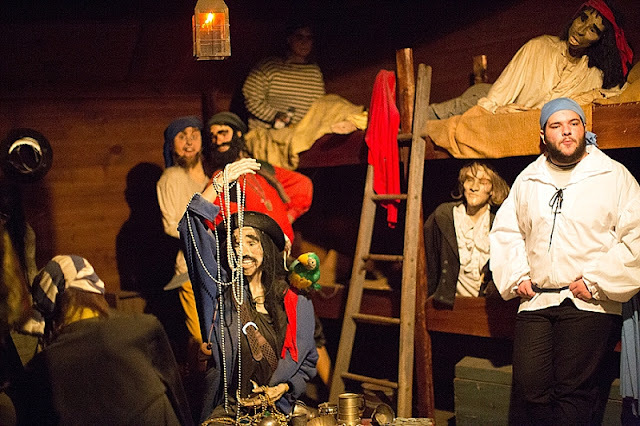 Sure it was old and dusty and it was tour-guided, but where the pirate museum really got me was that the dioramas for its figures were much more immersive. You felt like you were on the ships and in the towns and deep within caves full of treasure. Sure, part of that immersiveness is that the place feels a little bit seedy, but seedy is perfect for anything pirate-themed. 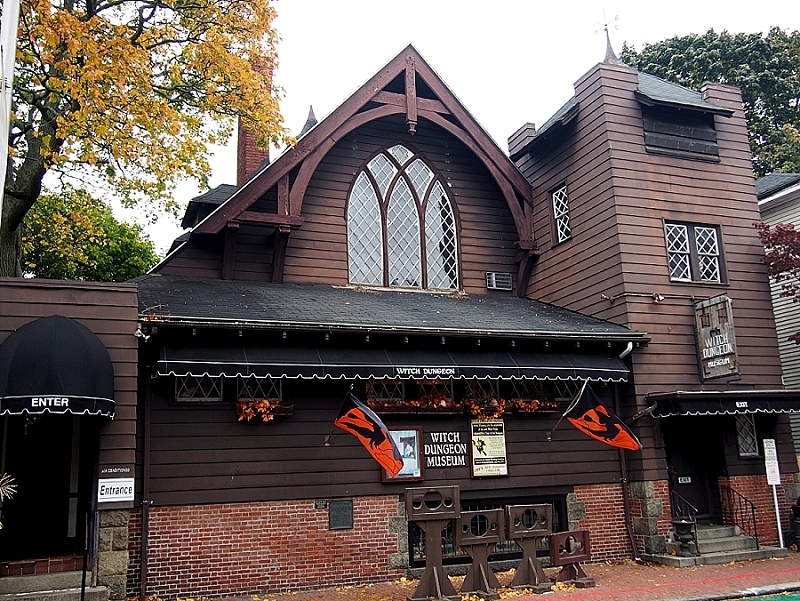 Next on our tour across the waxy discharge of Witch City is the Witch Dungeon Museum, which, like the Salem Witch Museum, is located within an old church. I almost left this museum off of the list because it’s not really a wax-style museum. It does have mannequins, but that’s just to dress up its signature attraction. 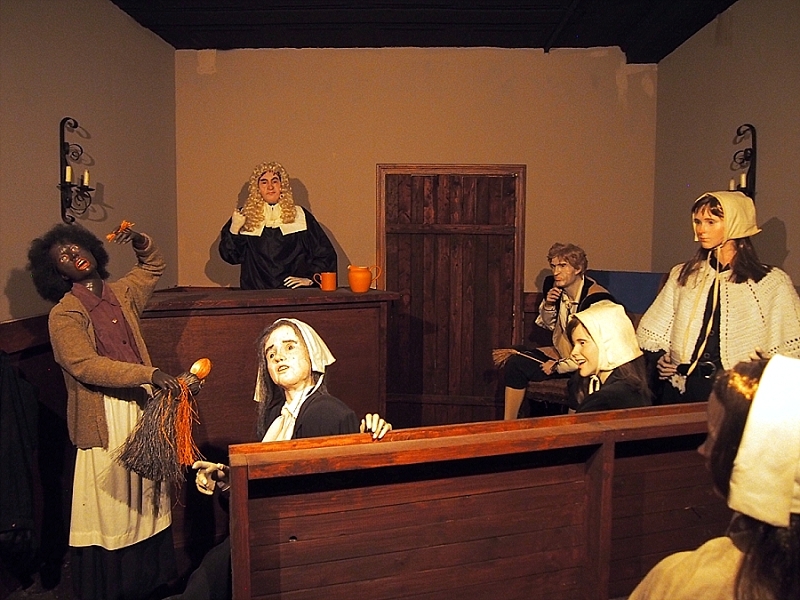 Before heading to that attraction, though, you’re treated to a two-person dramatization of a courtroom scene from one of the trials. 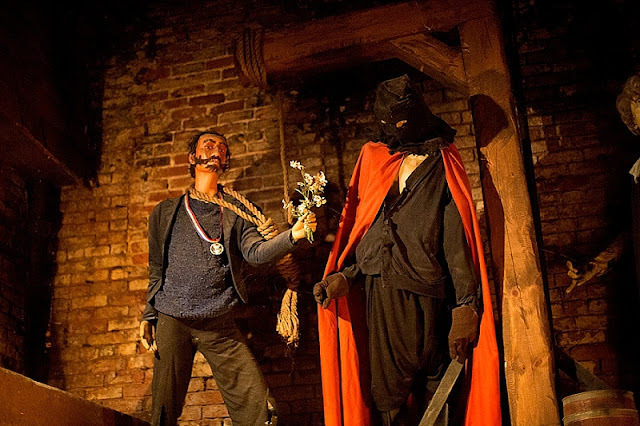 After that, you head down into a recreation of the horrifying Salem Jail (the titular “Witch Dungeon”) where so many accused were incarcerated. This museum also has a beam from the original jail. The highlight here is that it ends with the creepiest diorama of all the diorama-featuring museums in Salem. A large tree festooned with dead witches. Sorry for the blur. So much twitching and writhing. Finally, we arrive at a museum in Salem that has absolutely nothing to do with Salem’s history: Count Orlok’s Nightmare Gallery. I’ve written about this place before on OTIS, as well as in Rue Morgue magazine and in A Season with the Witch, so I don’t have much new to say about it other than that it’s still my favorite attraction in the city. It features high-end, life-sized sculpts of movie monsters from every decade of cinema. Count Orlok's avoids most of the controversy surrounding these other museums. That's partly because it's a high-quality, obviously cared-for collection built out of personal passion. 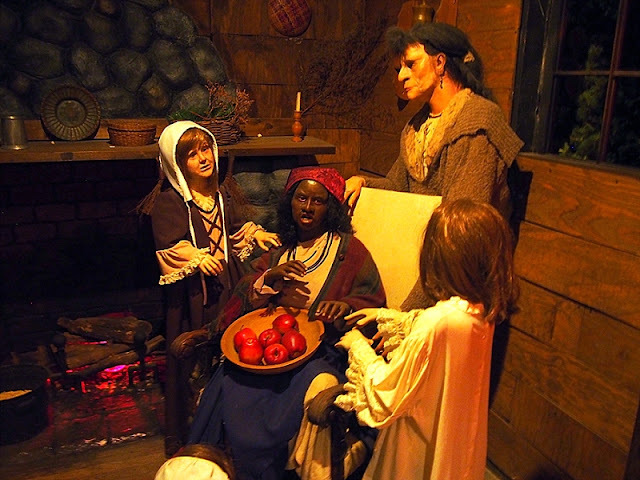 But the main reason is because it's a fantasy attraction as opposed to an historical one (its only witches are Winifred Sanderson, Meg Mucklebones, and Eva Ernst). No movie monster fan will be disappointed by this place. Monsters, pirates, and witches, frozen in slowly decaying tableaus. Any wonder why this place is Halloween Town?